After releasing Vivo V7 Plus early in September 2017, the company has yet launched the smaller version called Vivo V7. The device spots a 5.7-inches FullView screen display with an 18:9 aspect ratio. While the Vivo V7 Plus carries a bigger 5.9-inches. The Vivo V7 is built in full metal body with bezel-less design. In terms of camera, it features a 16MP rear camera with a single Flash and 24MP selfie camera without flash. Vivo V7 features a 4G LTE network connectivity, fingerprint sensor, runs on Android 7 Nougat which is powered by Snapdragon 450 chipset coupled with a bigger 3900 mAh battery capacity compared to Vivo V7 Plus 3,225mAh battery capacity. Have a look at the full specs of Vivo V7 below. 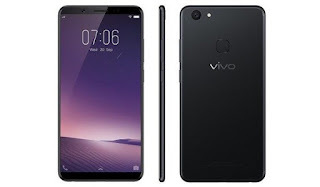 Where To Buy vivo V7: You can buy the vivo V7 in all global markets where Vivo has a presence, as well as via online stores. Kachi please all this phone you are giving us their information, I hope if we buy it going to have guarantee if anything spoil or damage in it? Nice phone with cool specs. Almost standard specs and the price isn't too bad.